The Ledgestone collection of properties throughout the United States includes brands such as Hilton, Marriott, IHG, Wyndham, Red Lion and AmericInn. Our hotel management consulting company also operates four-star luxury boutique hotels: La Bellasera Hotel & Suites located in the Central Coast of California, a Colorado Rocky Mountain Resort The Estes Park Resort, a renowned Iowa hotel and steakhouse and a California roadside property La Cuesta Inn. A luxury boutique hotel in Paso Robles California offering the perfect symmetry of comfort and elegance. Guests can choose from 60 opulent guestrooms and numerous luxury suites, which feature whirlpools, fireplaces and patios. La Cuesta Inn is the perfect hotel for both leisure and business travelers. The property is conveniently located within three quarters of a mile from Cal Poly California University campus, one mile from historic downtown San Luis Obispo. One of the best Estes Park hotels for lovers of nature, escape, and luxury. Boasting crisp mountain air, expansive spaces and panoramic views of the Rockies, the Estes Park Resort is an elegant mountain getaway with all the comforts of home. Located three blocks from the lively yet rural uptown; home to lots of restaurants and shops. Just a few blocks from Arizona State University's campus, our welcoming Tempe hotel is also near Phoenix Sky Harbor International Airport and Old Town Scottsdale. 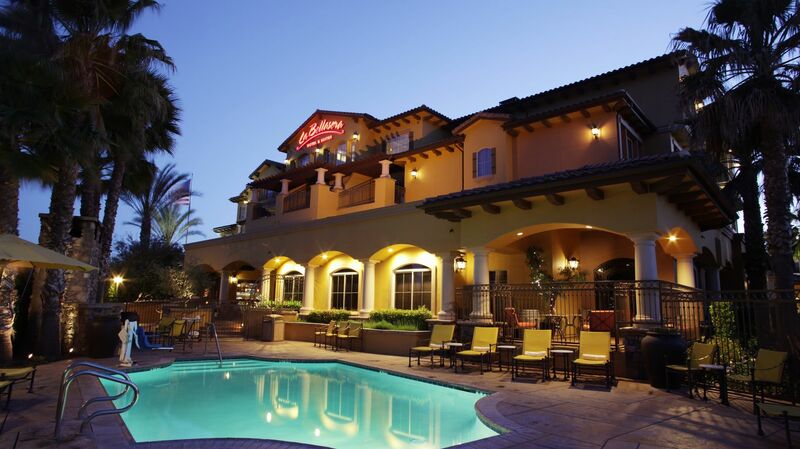 At the Hampton Inn & Suites Paso Robles hotel, you'll be close to some of the best that California has to offer, including healing hot springs, museums, and of course, vineyards and wineries. TownePlace Suites Lincoln is an extended-stay hotel located in Lincoln, NE. Our excellent service and spacious accommodations make this a popular choice among local hotels. A friendly hotel just moments from local shops and popular area attractions, including the Heyde Center for the Arts, Beaver Creek Reserve, the Chippewa Area Ice Arena and the Leinenkugel Brewing Company. Located on the east side of US-41, our brand-new Hampton Inn Fond du Lac hotel is hard to miss with its sleek design and convenient location. This Fond du Lac hotel features spacious rooms and suites on a clean and fresh Hampton bed®. Offers modern guest rooms along with thoughtful amenities for your next trip to Wisconsin. Conveniently located along the freeway, our hotel is built to keep the noise out and your room quiet. Sit down to Hampton’s free hot breakfast every morning of your stay in the Mix Lobby, or pick-up a Hampton On the Run® Breakfast Bag to eat on the go, available Monday to Friday. Contemporary style hotel located at the London Bridge in Lake Havasu City, AZ. Our beautiful new hotel is perfect for travelers looking for shopping, relaxation, or adventure. Proximity to numerous attractions or walking barefoot through the sandy beaches. Convenient to Arizona State University (ASU) and features well-appointed hotel rooms and suites, complimentary airport shuttle to Phoenix Sky Harbor International Airport (PHX), and thoughtful amenities to make your stay in southern Arizona the best ever. Centrally located on Brooks National Golf Course, minutes from Arnolds Park Amusement Park, a major attraction in the area, as well as others. The 61 beautifully appointed guestrooms feature new plush top beds and upscale linens. AmericInn Lodge & Suites in Atchison Kansas is ideal for business or leisure hotel stays near Kansas City and St. Joseph MO. The Atchison hotel features a state-of-the-art function room for small corporate meetings, retreats and family reunions. AAA-approved and known for their clean and quiet rooms and suites, guests feel are made to feel comfortable and at home whether visiting for business or pleasure. Osceola hotel property features include a 9-hole golf course, indoor heated pool, whirlpool and canine-friendly rooms. The property boasts 45 rooms with all the amenities that you can expect from an AmericInn hotel. Need meeting space for an event in Oklahoma? This Sayre hotel has 750 square feet of meeting space. Conveniently located on Highway 61, we’re just a short drive from Duluth International Airport (DLH) and several state parks, including Gooseberry Falls, Tettegouche, and Split Rock Lighthouse State Park. We are situated just off Highway 60 and within a couple of miles of Sibley Municipal Airport (ISB). Our central location gives you easy access to the Iowa Great Lakes area and many local businesses including Poet Biorefining and Keith Merrick Company. Our friendly staff and extras like an indoor pool and fitness center will make you feel right at home. From parks and wineries to local businesses like Hog Slat, Jet Company, and Liguria Foods, Humboldt offers opportunities for leisure and business travelers alike. All of the guest rooms feature a cozy, country-style decor, with high-speed internet access, coffee makers, cable TV, and other amenities to make the guest feel at home. Enjoy the fitness center or host a group or meeting in their function space. The Super 8 in Spirit Lake Iowa is surrounded by a beautiful chain of lakes which covers 15,000 acres, making this hotel an ideal place to rest your head. Located just 1 mile from lake Okoboji, the hotel has a variety of guest rooms to choose from with plenty of amenities to make you feel at home. Guests at this Spirit Lake hotel can enjoy a heated indoor pool with a whirlpool, business center and gift shop, as well as some great dining options nearby. Accommodations include free Wi-Fi, Continental Breakfast, Pool, On-Site Restaurant and Bar, and more. Consider us for your next business meeting, wedding, class reunion, or convention in one of our eight meeting and banquet rooms. Serving innovative menu pairings in a sophisticated yet inviting atmosphere, our Paso Robles restaurant tempts all guests to experience incredible culinary fare at Enoteca. The Waterfront Grille offers an authentic taste of Colorado set against the beauty of the Rocky Mountain landscape. Dine on a delicious menu of hearty and healthy fare while taking in the serene mountain and lake views. Charlie's Steakhouse is a must-visit for Iowa's best hand-cut and aged steaks. Whether you're looking to enjoy a great meal while you watch a game or entertaining the whole family, Charlie's offers a robust menu in a family environment that is certain to please.